Zone 8. 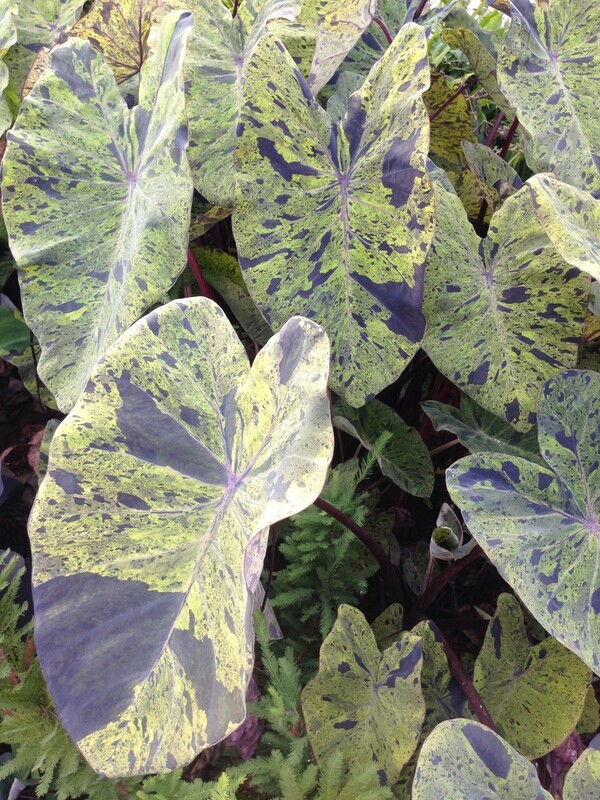 Burgundy Variegated Taro. Large green leaves splashed with violet. 2' to 3' tall.